KitMonsters – Yamaha Attitude LTD 3 Bass. The music makers’ guide to making music. 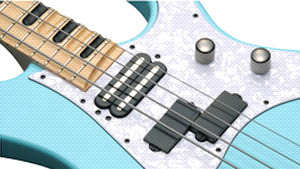 With Billy Sheehan’s involvement at every step of the design process, this is a signature bass with refined characteristics. With a powerful and bold low-end, but with tight, controlled and clear highs and driving mids, this bass has plenty of power and definition. The mix of Yamaha humbuckers and DiMarzio pickups give the bass its custom sound, and the unusual design features give it a classic feel, whilst breaking new ground visually. The stereo output jacks allow separate outputs for the front and rear pickups, whilst a traditional mono output is also possible.